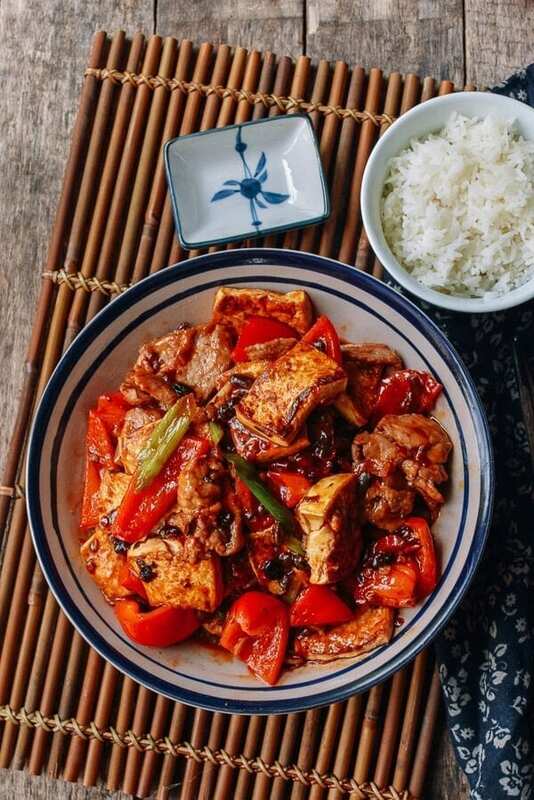 Hunan Pork and Tofu is a classic dish served at many Hunan restaurants throughout China and the US. 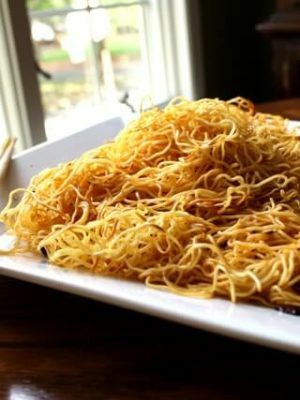 Hunan-style food, like Sichuan food, features chilis and spice as a core flavor, and has really taken off in popularity in recent years as more Chinese immigrants and visitors have made their way into all parts of America. 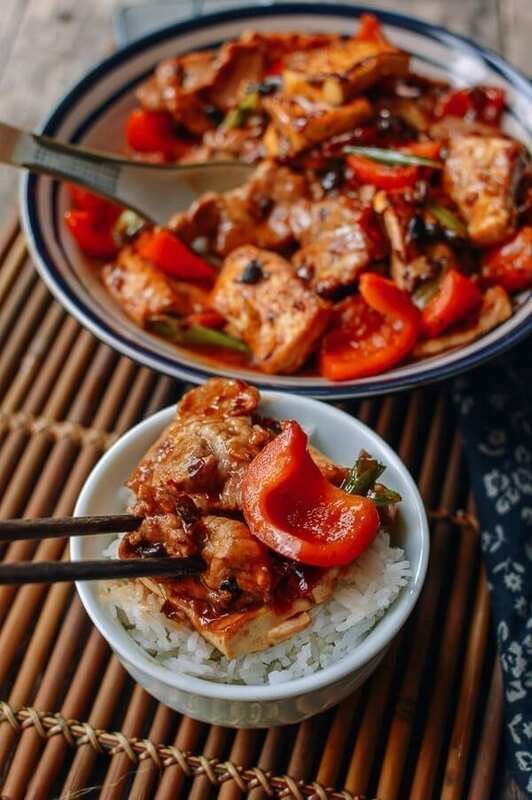 Common variations are simply Hunan Pork and Hunan Tofu, but why not have the best of both worlds with Hunan Pork AND Tofu? 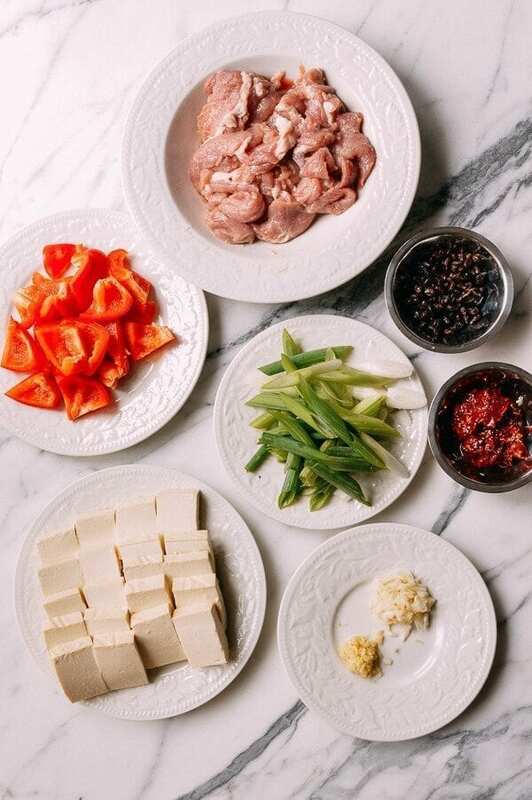 Hunan-style food incorporates fermented black beans in many dishes, including Hunan Steamed Fish with Salted Chilies, (an under-appreciated dish on our blog, I must say). 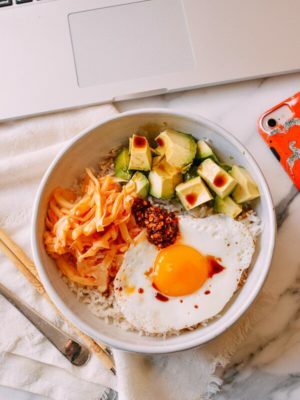 On the topic of fermented black beans, if you’re looking to dip a toe in the water rather than steam up a whole fish, one of our favorite condiments is Lao Gan Ma or “Lady Sauce” as Sarah and Kaitlin dubbed it long ago, as you can see here in our very first post. 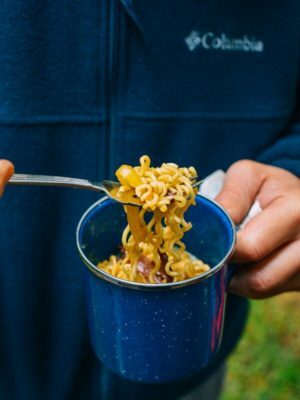 Our nickname may be questionable, but the combination of fermented black beans and hot chili sauce infused in oil is uniquely delicious and something you must try! One other note about Hunan Pork or most Hunan dishes you’ll likely encounter is the amount of oil used in each dish. 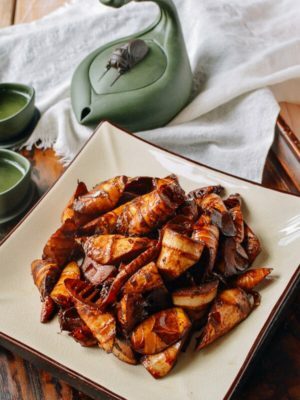 Hunan style, like Sichuan-style Chinese cooking, incorporates significant amounts of oil. 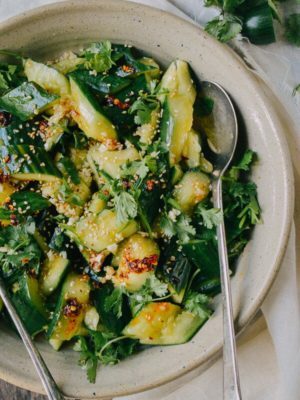 It’s not surprising that dishes may contain up to ½ cup of oil! 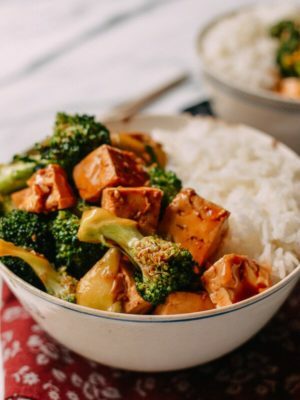 This Hunan Pork and Tofu recipe also uses a liberal amount of oil (6 tablespoons), but you’ll notice that it’s lacking the strong/visible greasiness that you might see in Chinese restaurants. As always, we encourage our readers to experiment, so if you enjoy that restaurant-style flavor and consistency, increase the oil from 2 tablespoons to ¼ cup in the step where you fry the chili bean paste! In a bowl, add 2 tablespoons of water to the pork slices and massage until the pork absorbs all of the water. Next, add the oil and cornstarch, mix thoroughly until the pork is coated, and set aside. Heat your wok over high heat, and spread 2 tablespoons of oil around the wok to evenly coat the surface. 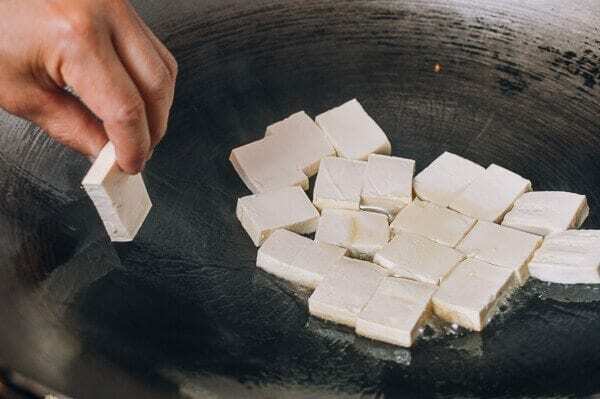 Add the tofu slices to the wok in one layer, and let them sear. Don’t move them for a least 1 minute! Tilt your wok so the oil reaches the tofu on all sides. Add more oil if needed. 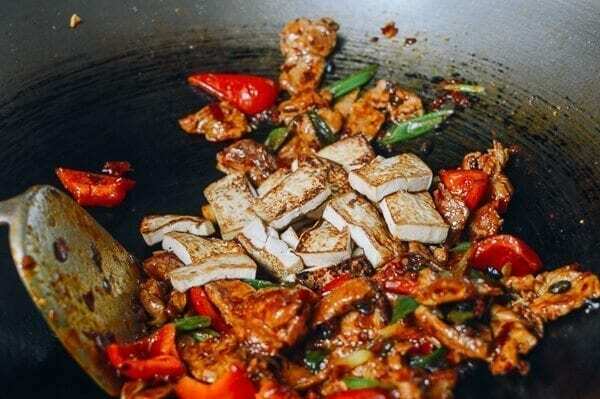 After another 1 to 2 minutes, the tofu should be browned, and it should not stick to the wok. You may have use a metal spatula to loosen the pieces slightly. Turn down the heat, and carefully flip all of the tofu slices. 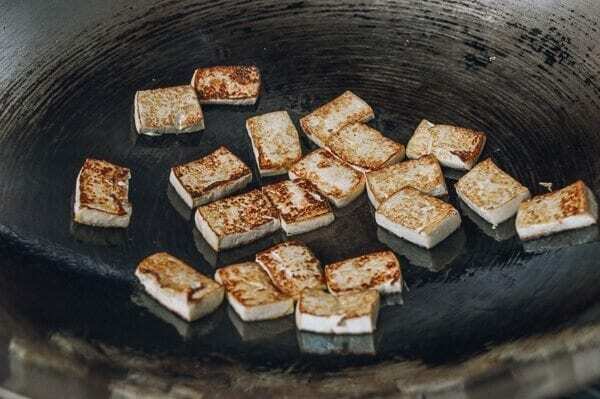 After the tofu is golden brown on both sides, transfer to a plate. They should be much easier to handle now. Over high heat, add another 2 tablespoons of oil to your wok. When the wok just starts to smoke a bit, immediately add the pork. 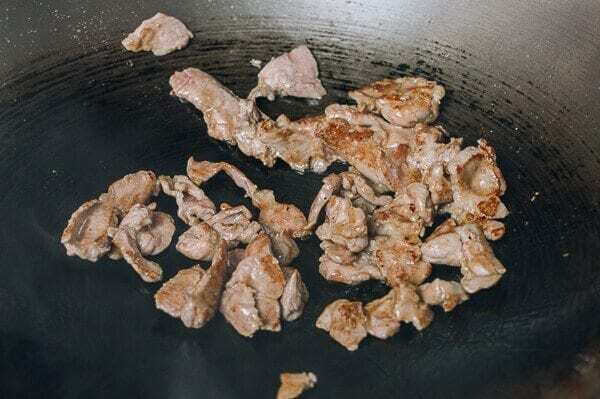 Spread the pork around the wok using your metal spatula, and let the meat sear for 20 seconds on one side. Stir fry for another 15 seconds, and scoop out the meat into your marinade bowl. It should be about 80% cooked. 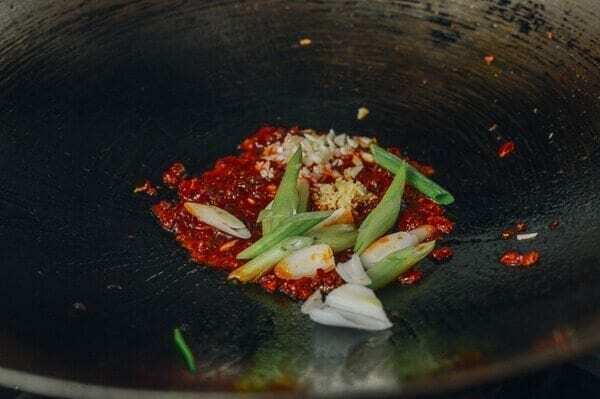 Using the same wok, turn the heat to low, and immediately add 2 tablespoons oil, the minced ginger, the spicy chili bean paste (dou ban jiang), and the white parts of the scallions. Stir this mixture into the oil and let it fry at low heat for 15 seconds to infuse the oil and bring out a rich red color. Next, add the garlic, black beans, red bell peppers, and the rest of the scallions. 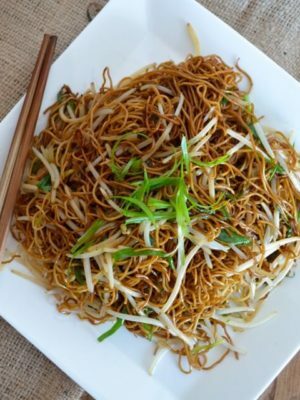 Turn the heat to high, and give everything a good stir-frying for 45 seconds. The red pepper will sear and add more natural red color to this dish! Add the pork and juices from your marinade bowl and the tofu back to the wok. Next, spread 1 tablespoon of Shaoxing wine around the perimeter of the wok, add the sugar, and continue to stir-fry for 15 seconds. Be gentle so you don’t break up the tofu. 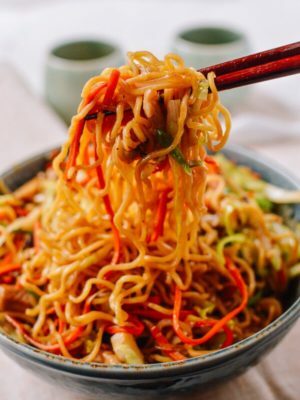 At this point, you can continue to stir-fry the dish until most of the liquid is reduced, or add the water and cornstarch to thicken any standing liquid. 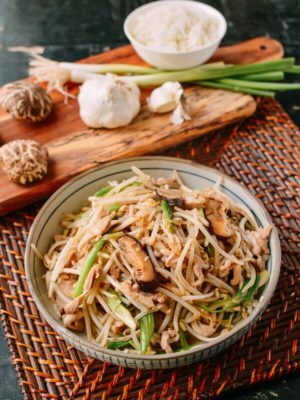 Plate this Hunan Pork and Tofu and enjoy with rice! 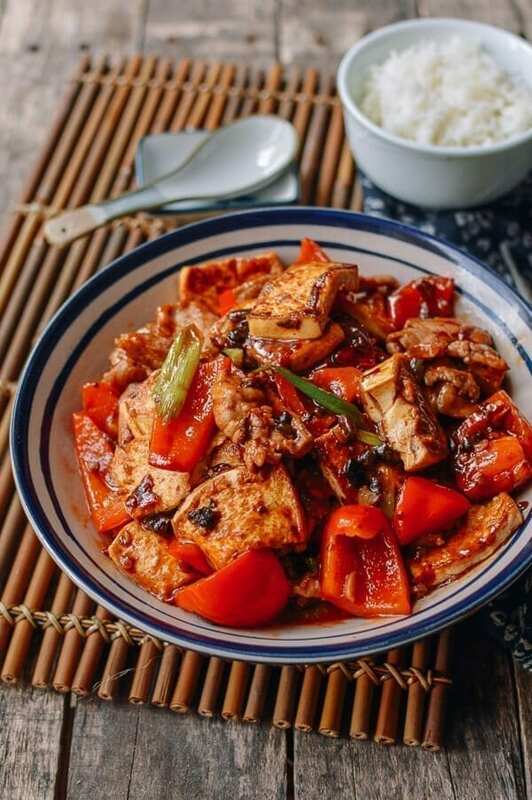 Hunan Pork and Tofu spicy stir fry is a classic dish served at many Hunan restaurants throughout China and the US. 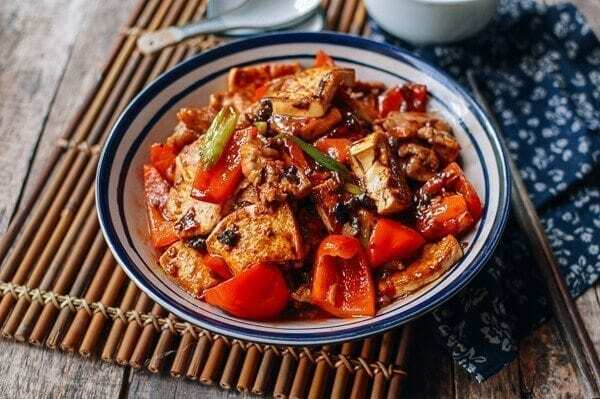 Hunan-style food, like Sichuan food, features hot chilis, fermented beans and green onions, much more. 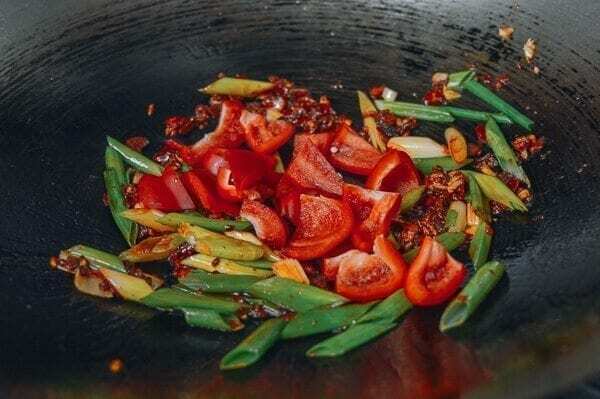 Heat your wok over high heat, and spread 2 tablespoons of oil around the wok to evenly coat the surface. 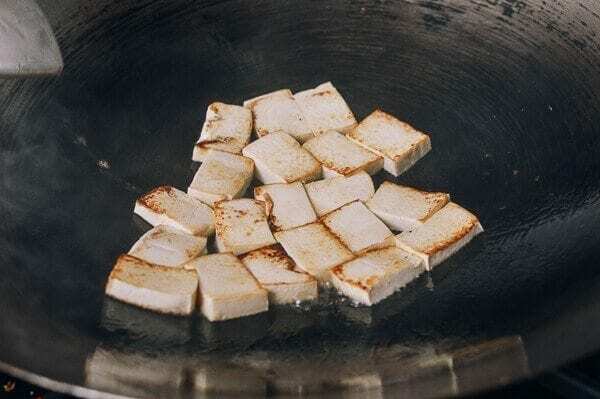 Add the tofu slices to the wok in one layer, and let them sear. Don’t move them for a least 1 minute! Tilt your wok so the oil reaches the tofu on all sides. Add more oil if needed. 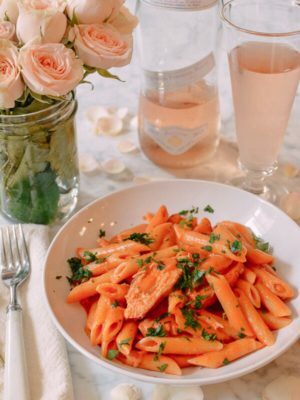 This recipe turned out really well! I used ground pork instead of sliced, and did a little extra doubanjiang since I can’t get enough of the stuff. The doubanjiang and douchi combo is umami heaven, and it looked very presentable while coming together very quickly. 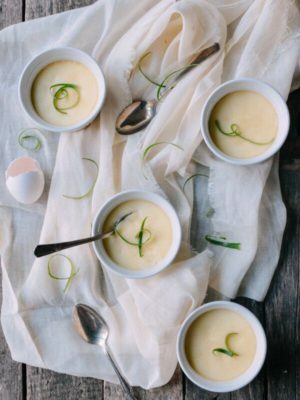 Definitely putting this recipe in rotation. 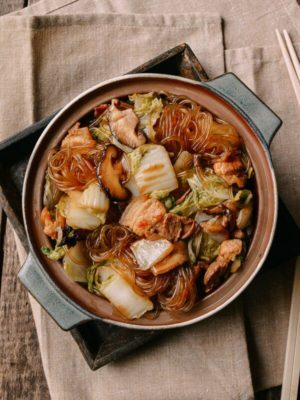 I am making this dish today but would like to substitute eggplant and mushrooms for the tofu. Do you think that would work? 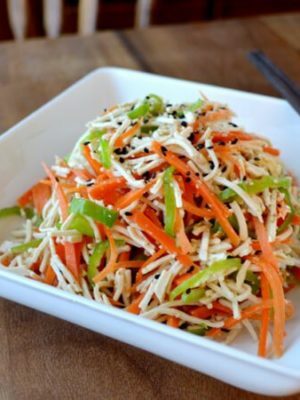 This recipe sounds great but what can I use in place of tofu? Can’t stand the stuff. Made this last night and it was REALLY good. I loved the funkiness of the black beans and enjoyed how much they added to the dish. Used pork steaks sliced thin–that little bit of extra fat was great. 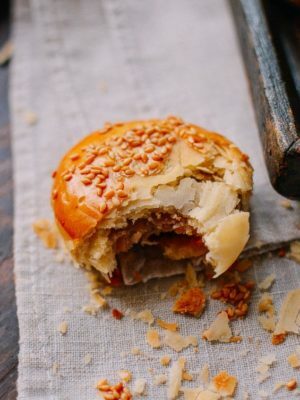 The sweetness of the red peppers balanced nicely with the spicy, saltiness of the chili bean sauce. 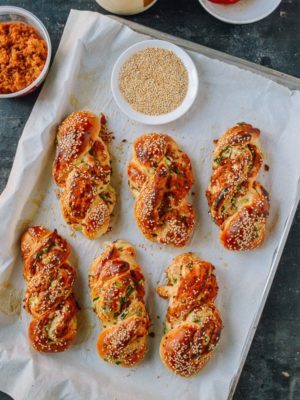 Easy to throw together…thanks for a great recipe and a great website. Thank you very much for your approval, Andrea! Just put away the leftovers. This dish was really good! 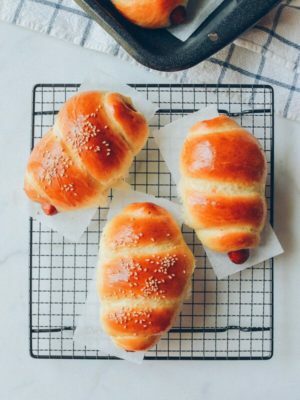 I will make again, Thanks for the recipe! Hi Glenn, You’re welcome and keep up the great cooking! 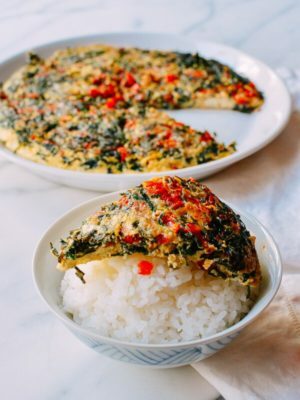 I’ve made this dish several times now and it’s one of my favorites, and my favorite tofu dish ever! Thanks! Hi Michele, thank you so much for your high praise.